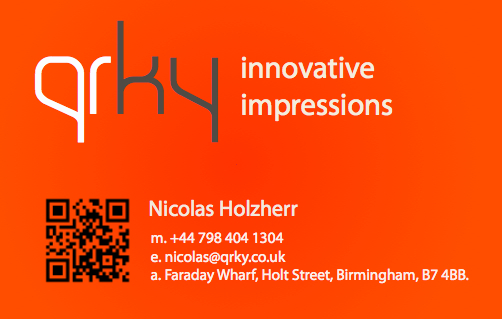 Last week, Birmingham startup QRky Ltd launched online sales of its new product: high-spec business cards featuring 2D barcodes. Such barcodes, called QR codes, are not new. They’ve long been popular in Japan, where mobile phones are required to have QR readers. Earlier this year, at Austin’s SXSW, the codes were used extensively on conference materials including name badges and programmes . Closer to home, Edinburgh-based 2Dcode.me directs home-seekers directly to relevant online listings using QR codes on property signs. In general, QR codes have been suggested as a way to modernise (and digitise) interactions that have traditionally required manual data entry. 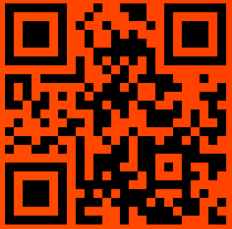 When applied to business cards, QR codes let users update contact details without making their business cards obsolete. Anyone with a QR reader can also add contact details to their phone quickly, eliminating most of the pain associated with following up with new contacts. While there are already several companies offering QR business cards, QRky distinguishes itself by packaging high-quality stationery with relatively extensive, customisable online content. QRky is one of 24 companies currently housed at Entrepreneurs for the Future (E4F), an incubator based at Birmingham Science Park Aston. According to Head of Incubation Simon Jenner, around 35% of E4F companies are currently revenue-generating, including QRky. Holzherr, whose other ventures include a stint in investment banking and a successful coffee outlet, says he’s now employing two full-time programmers and hoping launch new features quickly. Next on the list is the ability to select specific design themes for your mini-site. Overall, QRky is an interesting idea: it’s an easy way to quickly curate your contact details and online presence into a neat, mobile-friendly page. That’s definitely a selling point. In addition, the business cards are competitively priced (£70 for 500 QRky cards vs. £33 for 200 Moo cards) and don’t scrimp on quality. A question for another day is whether QR codes are a passing fad or a lasting technology. For now, they do the trick.